The Congressional seat for Tennessee's 6th district opens in the 2010 mid-term elections. 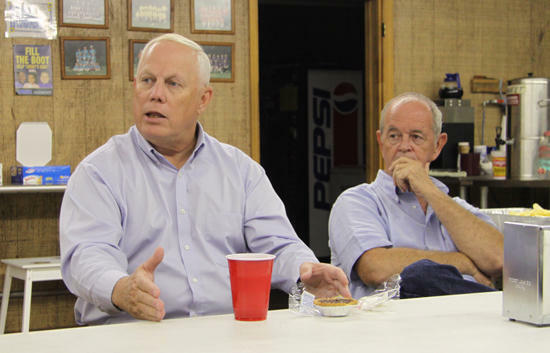 Candidate Dave Evans met with Cannon County residents at the Auburntown Community Center on Saturday. Evans led a frank and open discussion about the state of politics in Washington and in Tennessee. He stressed the pitfalls of politics as a career and presented himself as a citizen-politician, one who serves out of a civic duty rather than to establish a career. The long-term vision presented by Congressional Republicans after the mid-term elections is one of a check against the current Democratic administration, similar to the situation in much of the 1990s where our national deficit was reduced simply because neither party could push expensive legislation through to law. Dinner was provided free of charge to attendees. How inappropriate for the administrator of elections to be at a campaign event. I thought he was supposed to be impartial and non-biased? He should be fired immediately. What kind of message does this send about the integrity of elections in this County?